There's nothing like a pop of colour to brighten up your day, and what better way to do that than refreshing your makeup look and switching up to using a bright, bold lipstick? 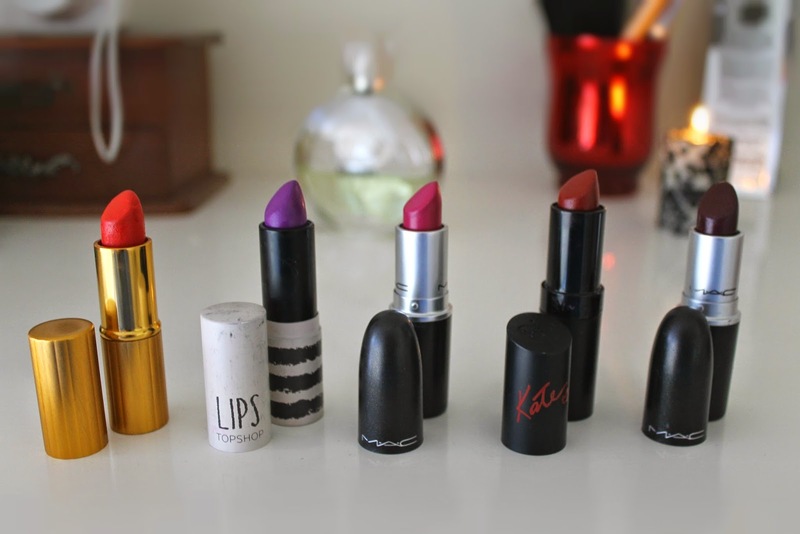 Here are my top five favourite bold lipsticks, tried and tested by yours truly! Here's some swatches for you too! Revlon Red 's orange-red tone is definitely going to be the go to colour this Summer and also looks quite beautiful on darker skin. I think Topshop's Straight Ace could definitely be a dupe for MAC's Violetta though I haven't seen them side by side. When talking about MAC, Girl About Town is a classic that most MAC enthusiasts have already; and if you don't, I seriously recommend you go out and buy it- it is such a beautiful, vibrant pink! 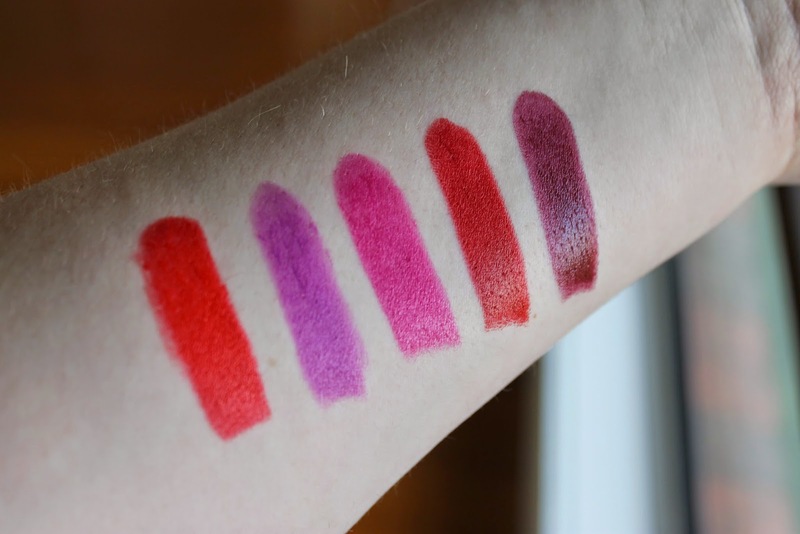 The Kate Moss for Rimmel lipsticks have gained much attention as they are so pigmented and cheap and finally, my personal favourite is MAC's Hang-Up which as a colour, looks so intimidating in the tube but it is just such a beautiful, deep plum colour! 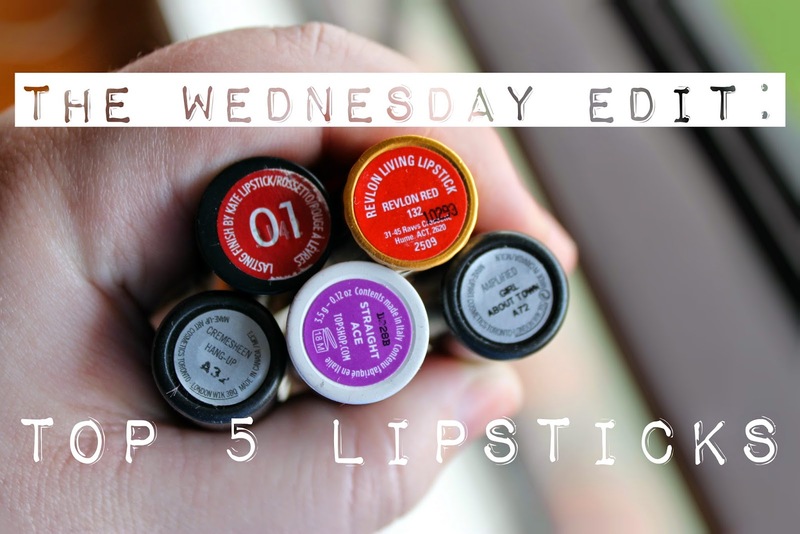 Don't forget to check back next Wednesday for next week's edit! Nice and interesting blog!. I am really happy that i have visited your blog. Thank you so much for sharing this! I loved all the shades. Looking forward for more excellent post. Well! i am a professional essay writer. If you need any guidelines on writing essays reviews of essay writing service . will definitely help you.